Here in the Triangle (Raleigh, Durham, Chapel Hill) techies, have a wide variety of choices for unique meetups groups that fit our interests. 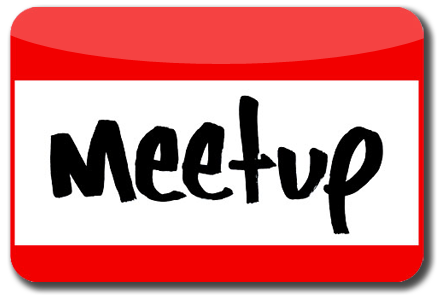 There never seems to be enough time in the week to visit them all so each week we will highlight a local tech focused meetup group. We live in one of the best tech areas in the country and our meetup groups are a lively extension of this. From Bitcoin to Robotics, the Triangle has a meetup group for every subsector of the tech world. Our goal is to promote and highlight the best in the triangle to help you make your scheduling decisions easier. The Raleigh SEO Meetup is a highly renowned meetup group in the local Raleigh, NC area since 2008. It consistently draws huge crowds, big name speakers and has valuable information for any level of SEO enthusiast out there. Last month we had Mark Sherwin, co-founder of LeadsNearby, is president of client solutions for the full service digital marketing agency.Mark and his partner Greg Shadik took a deep dive into conversion funnels, analytics and metrics so you get a complete picture of how well you’re actually performing. It was an very thoughtful talk on the complexities of Local SEO. The meetup itself has a format of speakers on a monthly basis, with Q&A sessions and open networking. This group in particular draws in some huge names in the SEO industry. Last year, Rand Fishkin was a featured speaker. Yes, that Rand Fishkin from Moz and one of the most influential names in SEO today. You never know who might be there on a month to month basis! This meetup group is perfect for all levels of SEO enthusiasts in the Raleigh, Durham or Chapel Hill NC areas. The meetings are filled with useful information, tips, guides and collaboration that can benefit anyone in the industry. Whether you are a local business owner interested in SEO or a full time SEO analyst this meetup is worth checking out. Business owners who rely solely on having a beautiful lead generating website will often see few returns. Why? Creating a website and forgoing Local SEO efforts is akin to opening a storefront and not advertising or telling anyone your address. How are they going to find you? Here is 9 actionable SEO tips about ranking in local search. Write as much as you can about your industry and post articles to your blog. Write for people, not search engines. Don’t keyword spam; write the article in such a way that you, a human, would enjoy reading it.